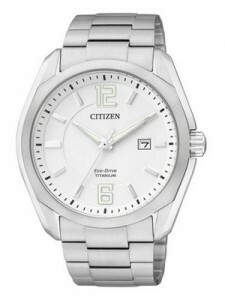 Citizen Watches is presenting this cool titanium watch especially for the men who like formal watches. This Citizen Eco Drive Titanium has the quality of super titanium and its case and bracelet are made of it. With this titanium you will feel light weight on your wrist. The super titanium is more durable than stainless steel. This watch has an Eco-Drive. With this technology the watch gets recharged by any light source, therefore it is called as Eco drive. The benefit of using eco drive watch is you never need to change the battery which seems to be very natural. With this eco drive watch you get the features of insufficient charge warning function and overcharge prevention function. The Caliber of this Titanium Eco is E111. This watch is very accurate and reliable. Actually it has the power of simplicity. The white dial is has Luminous Hand and Hour marker which glow in dark. This is very useful to note the time in night. The dial has Sapphire Glass over it for clear view. 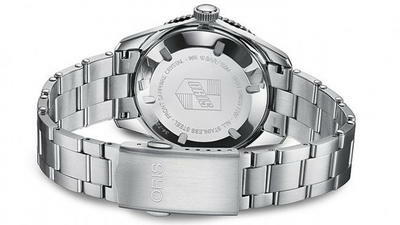 This Citizen Watch Titanium shows the current date in the small window present at 3 o’clock position. The Time Setting Warning feature is also available in this watch. Many people who purchase this watch are really happy with this kind of shape. No need to worry if you get water accidently over this watch since this watch is water resistant. The water resistant of this Citizen Titanium Eco is 100 meters. The diameter of this watch is approximately 40mm.